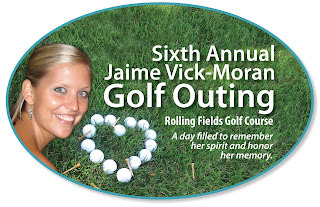 We invite you to participate in the 6th Annual Jaime Vick-Moran Memorial Golf Outing. We hope that you will help us make this event a successful one by being a sponsor and/or participating in the day’s activities or with an in kind donation. We raised $25,000 at last year’s event and continue to be overwhelmed by your support and generosity. Donations were made to the Jaime Vick-Moran Memorial Scholarship established through the Kiski Area Education Foundation, giving a $5,000 scholarship to the 2018 scholarship winner. We donated to a scholarship established in Jaime’s name at St. Vincent College. We also made donations to Children’s Hospital of Pittsburgh-Hematology/Oncology floor, Children’s Hospital of Pittsburgh Foundation and Make-A-Wish. Planning has begun for this year’s golf outing which will be held on Saturday, June 8, 2019 at Rolling Fields Golf Course. We hope to continue to raise funds for Jaime’s scholarships and also to help the charities that meant so much to her. This is a golf scramble with a 1:00 PM Shotgun Start. This year dinner will again be catered by Pugliano’s Italian Grill and Catering and will follow at the Golf Club. Please see the opportunities available for sponsorship of this event and do not hesitate to contact us at the email address provided. Deadline for Golf Registration and Sponsorship is Friday, May 24, 2019. Taking the first 36 paid foursomes. We invite you to be a sponsor for the event. We are also hoping to obtain donations and tournament sponsors to support the event. We welcome any donated items or gift cards for auction and raffle prizes. Please see our sponsorship link on our webpage for more information at www.jaimestrong.org. There are two (2) ways to register for the outing. You can use the on-line Registration Form (PayPal or Credit Card) or you can print and mail in the Registration Form. If you are not a golfer, you can join us for dinner and an evening of fun and prizes. 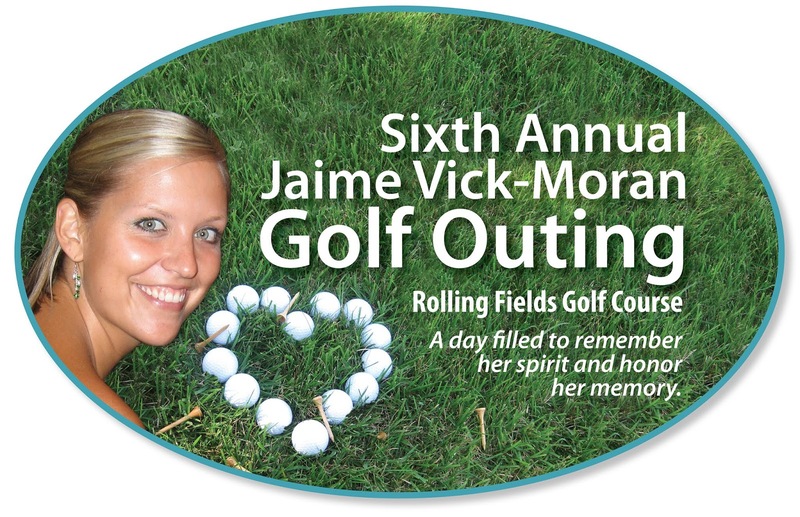 Looking forward to seeing you on June 8th and helping us make the 6th Annual Jaime Vick-Moran Golf Outing a great success!